ISBN 1495004546. 9x12 inches. 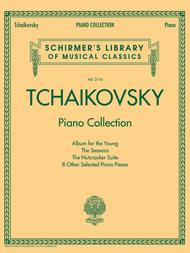 Schirmer's Library of Musical Classics Volume 2116. 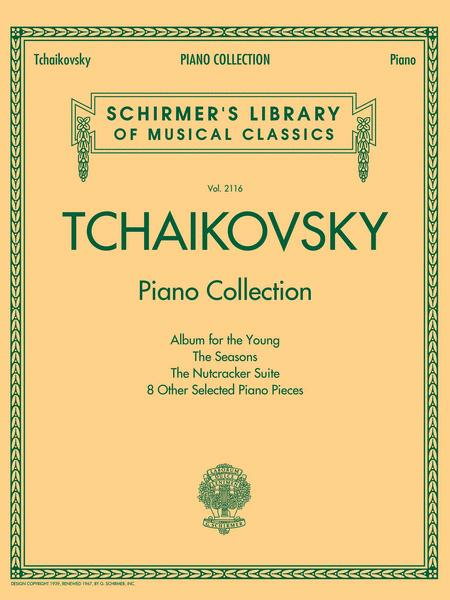 This collection brings together Tchaikovsky's most popular piano cycles and suites ine one convenient and affordable collection. Includes Album for the Young, The Seasons, The Nutcracker and other works. Intermediate and early advanced players alike will enjoy these well known tunes that are playful yet full of depth. Includes biographical notes on the composer.